Can STEM Education for Women Close Tech's Diversity Gap? While women have made undeniable strides in the workforce, they remain vastly underrepresented across many industries, including tech. Less than 25% of technologists are women, a rate that is even lower for women of color. For the women that do make their way into these roles, they'll likely find that women technologists earn less than their male counterparts more than 60% of the time. For now, the proof is in the paycheck; not only are men in tech out-earning women -- but they're more likely to have technical roles like software engineering and programming, while women currently gravitate toward product management or administrative roles within a tech team. Hiring managers can look toward Netflix's Culture Creator Patty McCord for leadership; in her book, "Powerful: Building a Culture of Freedom and Responsibility" McCord cites giving women equal share of job opportunities as the best way to accelerate their culture. She strongly believes that the "pipeline issue" is a myth and that women are just as qualified as men - simply looked over for the job. "All of us, companies included, need to take a step back and do something about it. If you want more women in leadership positions in our workforce, hire them. Interview them and then hire them," says Netflix Culture Creator, Patty McCord. By taking conscious action toward hiring women in tech, we not only can change the employment and wage gap, but also help shape how the generation of female engineers, coders and tech-eprenurs view their potential. The more that young girls can see and relate to women succeeding in tech, the more they will be encouraged to follow the same path. The good news for now? This systemic flaw is showing signs of change in the tech world, as young women are increasingly encouraged to explore STEM fields including tech, coding and more. Notable organizations like Code/Interactive have conducted extensive research, which has proven that students who have obtained Computer Science degrees successfully in college predominantly had some programming experience before starting their degree. The problem is, girls are less likely to explore these fields early on. Even more concerning, students of color and of low-income backgrounds are 12 times less likely to have access to computer science in their high school curriculum. This trend has been widely verified by educators; many young women have veered away from tech because of social conditioning and are not self-identifying in tech classes. Boys tend to realize quickly in high school, 'I can do this,' so they're getting to the right colleges to make sure they can take courses in this field -- which ultimately land them in technology fields with higher-paying roles more often than their female or diverse competition. Furthermore, a study by The Girl Scouts Research Institute revealed that 74% of the girls expressed interest in science, technology, engineering and math - yet only 13% said those fields would be their first choice for a career. This discouragement is likely due to social standards and expectations that don't push these females into tech at the right time. The earlier girls can be exposed to tech, the more likely they will become interested. One example of promoting this to females is that Girl Scouts as young as five can now earn up to 17 cybersecurity Girl Scout badges as part of their preparedness training. Currently, women hold 11% of global cybersecurity jobs. By giving young girls the imperative tools needed to girls protect their online identities, they are ushering in the next generation of cyber-preparedness. This larger campaign has gone even more mainstream with organizations like Girls Who Code and Koding with Klossy, a free coding camp for girls, created by supermodel Karlie Kloss. Kloss is helping break an important stereotype that women can be both beautiful, intelligent and excited about coding and technology. This increases the 'cool' factor for young women, as well as giving them the competitive tech skills they need. With rising feminists movements like #TimesUp and #FutureisFemale, women are empowering each other to break barriers, ceilings, and gender stereotypes. With supportive programs, educators and organizations like the above making tech education accessible for young girls, the future is bright -- but change is crucial today. After all, about 47% of the workforce is female, so as the war for talent continues to heat up, hiring managers and all companies employing technology workers will need more of that percentage to start pursuing careers in technology. What can you do? For those in decision-making roles like tech hiring managers, make sure that women are interviewed and considered equally to their male counterparts for open roles. As a technology professional, you can make an effort to be a part of Women in Tech events - they are gender neutral! Mentor young women interested in technical fields and help make connections for them professionally. Be vocal about wins and the importance of females in technology to help inspire the next generation. This can be as simple as spreadinf the word about events, organizations, and STEM education. This can start at home, in the workplace or through social media. You can volunteer your time with non-profit organizations like Girls Who Code, or as a company sponsor events that support the cause. Companies can create inclusive, diverse environments for their workers. Know a great company doing this already? Nominate them as the Best Tech Workplace For Diversity at the Timmy Awards this year! Looking to hire more diversely, but don't know where to start? 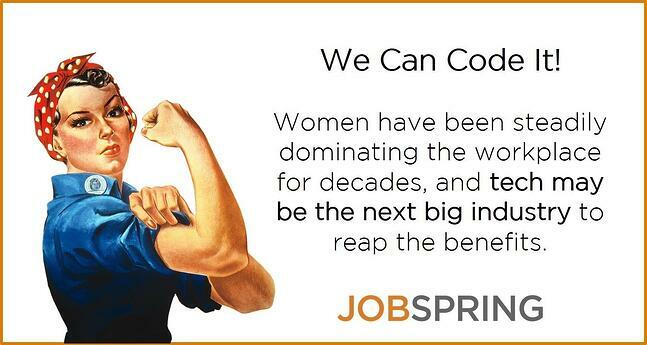 We can help you hire women in tech. With the amount of Meetup members and Meetup groups growing rapidly, especially of late, it’s important to know how to best utilize these unique and specialized gatherings for career fulfillment - use these tips to maximize the value you get from attending and networking! “What do you love?” asks Meetup.com as you view its homepage. Just below, the website encourages users to “Do more of it with Meetup.” Based on Meetup’s own About page, there are approximately 35.3 million members of the website that belong to any one of just over 300,000 groups across the globe. Are you a part of that 35.3 million? Perhaps you should consider it. 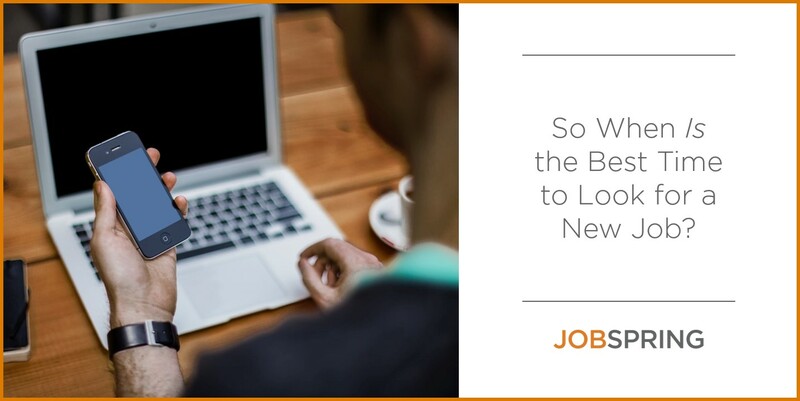 We have written numerous times about the value of face-to-face networking in our blogs and it should come as no surprise that within the recruiting field, we here at Jobspring Partners consistently see that the most important hiring decisions are made only after a face-to-face meeting has happened. Different from other events and event series, Meetup groups tend to be very connected to – often born from – the local ecosystem, providing a consistently relevant audience that also offers the opportunity to grow your personal network with people in your own industry. To top it off, the Meetup community is rapidly growing! 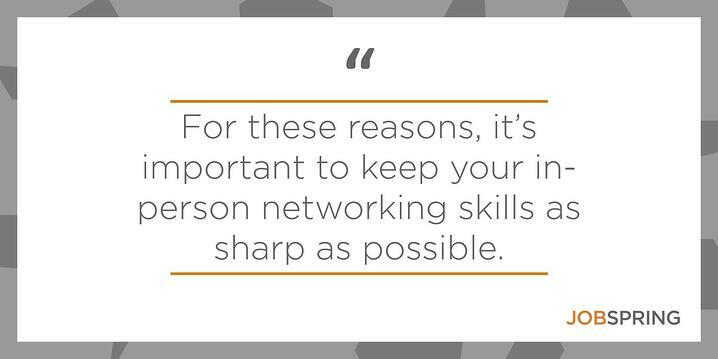 For these reasons, it’s important to keep your in-person networking skills as sharp as possible. Here are some tips to reap the maximum reward from these groups and events. Know the group. How many people consider themselves members of said group? What are the key goals that the group looks to accomplish? Some groups exist to solve problems, some to facilitate networking opportunities, and still others to provide additional content sharing through panel discussions or demo opportunities. It’s important to identify which camp this group belongs to in order to provide necessary context and a framework of how the night may go. For instance, if the group doesn’t do events focused on product demos from local companies, it may not be the best event for pitching your brand-new startup idea. The audience of the group simply may not be who you're looking to get in front of. Secondly, know the event. If you RSVP on the Meetup page and show up without any other knowledge of the agenda for the evening, you may end up incredibly turned-around once the event begins. Will there be a speaker session or panel discussion or is the event an extended networking period? Having this knowledge beforehand helps color your goals for the evening. If most of the evening is blocked-off for a panel discussion, it’s unlikely that there will be a large portion of time dedicated to networking. Logically, if your aim is to collect business cards, you will most likely experience a difficult time of it if there are only 15 minutes before and after the event to speak with other attendees. Finally, know yourself. it’s important to set some tangible goals. Whether that means your goal is to leave with a set amount of business cards, shake a certain number of hands that evening, or leave with the email address of a manager that will be hiring for a role in which you’re interested, having preset goals is important for holding yourself accountable. If possible, set yourself three types of goals: a networking goal, a learning goal, and an interaction goal. This way, you are constantly working towards accomplishing something and feel incentivized to meet, learn, and connect. You’ve elevatored up to correct floor and you’re standing in line to be checked in. You see how many people have already arrived: so many new faces and so many members potentially to be added to your network. What topics do you plan to discuss? Consider bringing a few pre-prepared questions for the people with whom you will be interacting. There’s no shame in having three or four questions that you cycle through during your conversations – it’s much better to be prepared. Now that the networking has begun, it’s easy to lose track of the time as you meet all sorts of interesting people and begun discussing a myriad of topics. It’s important to note that you should constantly be cognizant of the goals you set beforehand and how each conversation is moving you closer towards those goals. More likely than not, a lot of your goals can be boiled-down to something very generic like “learning”, and this is great! 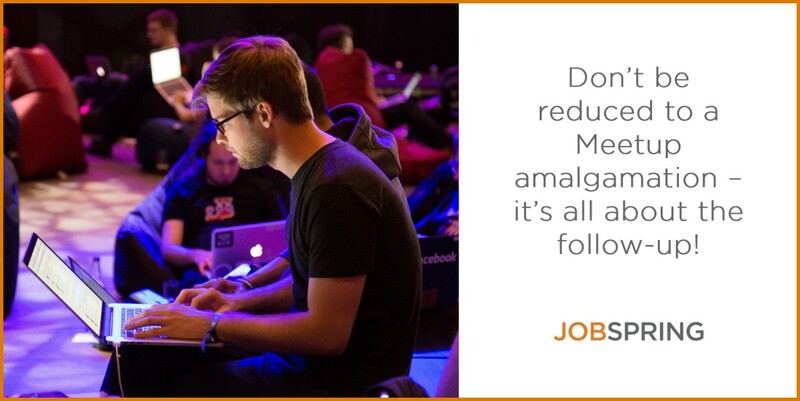 Learning should certainly be one of your primary goals at these events. Provided you can either learn something new or share some of your unique knowledge with the audience, you can chalk that conversation up as a win. But it’s important to have a back-up plan in case that isn’t happening. For example, what if you feel trapped in a conversation as it begins to derail a bit from the topics you were hoping to discuss, and you no longer feel yourself gaining value? Have no fear about politely excusing yourself from a conversation, most people will understand if you feel the need to step away. The night is full of opportunity to spend time with other individuals, just make sure you are respectful to the conversation at hand as you leave. Similarly, if you find yourself wanting to enter an ongoing conversation, don't be afraid to jump in when the time feels right. Be ready to calmly introduce yourself if the conversation lulls a bit and take the initiative to add something to the discussion to keep up momentum. When the evening has wrapped up, you’ll have one more thing to do to make the most out of your Meetup experience: follow-up. You can certainly let this wait until the following morning, but hold yourself accountable to do any follow-up you deem important within 24 hours. If you don’t follow up soon enough, or worse, don’t follow up at all, you risk blending in with any one of the many people that someone else spoke to. To prevent being reduced to a Meetup amalgamation, keep your follow-up short and sweet, while also personalized; make sure to add a sentence that reminds the recipient of you or the conversation you shared. It’s also recommended you connect on platforms simply beyond e-mail. Luckily, social media platforms offer a variety of opportunities to friend, follow, or connect. The conversation doesn’t just begin and end at the event; almost every Meetup group has both a homepage where members can post discussion points or an actual discussion board to ask questions, post about similar events on the horizon, or continue to connect. Make use of these tools because the attendees of any given event are only a small percentage of the group at large. By using the group’s webpage, you’re much more likely to get the attention of other members of the community, those who couldn’t attend, and those who simply aren’t quite as active. Now that we’ve given you the tools to make the best use of your time at the next tech-focused Meetup you attend, the next step is on you. Create yourself a Meetup profile, circle a few potentially interesting events over the next few weeks and make time in your schedule to attend! If you need a bit of help finding the most-relevant local Meetup groups, maybe start with Tech in Motion. 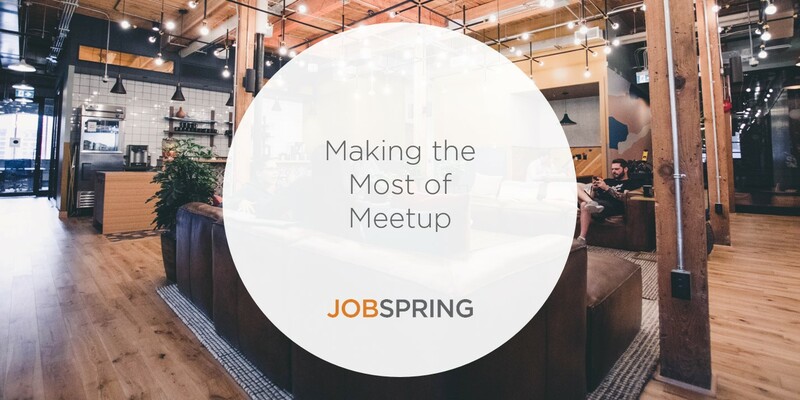 Although we may be biased, Jobspring Partners has worked to create an inclusive, generalist community that hosts frequent events that offer something for everyone. Clients lose money and production time searching for a quality candidate when they need to fill urgent roles. The average time to find a medium quality candidate is 45 days while very good candidates is 65 to 90 days, while agencies can find a candidate from 6 to 21 days depending on level. According to TalentNow, 42% of employers are worried they aren’t going to be able to find the talent they need and approximately 72.8% are struggling to find relevant candidates. When you finally make the move to choose an employment agency to source those qualified candidates for you, it can be equally difficult to find a high-quality recruiting firm that suits your needs and fulfills your expectations. Read on to discover what makes a top recruiting agency and the qualities they possess that elevate them above the competition. 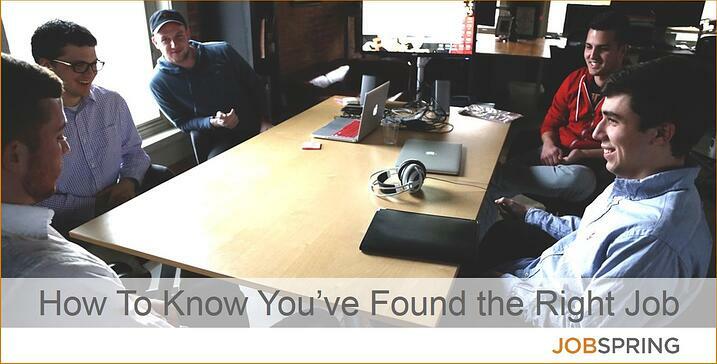 What Makes a Top Recruiting Agency? Finding trustworthy and dependable recruiting firms that listen to your business needs and deliver timely results are hard to find in any industry. When sifting through your options, you first must ask yourself: What makes a top recruiting agency? The most essential need in the tech industry is to have recruiters with a knowledge of the local tech market and a deep understanding of specific technologies. Having small teams that are focused solely on a specific technology and market allows them to deliver faster and higher quality results. The top agencies utilize digital advertising, social media, advanced data mining, and localized networking as an innovative means of sourcing. Before you make any decision, evaluate the reputation of the agency in question. Choose an established, highly-rated company with candidate and client testimonials to back it up. Knowing the history can help you decide whether they are the right agency to represent your brand and trusted by your peers. A strong firm will have the breadth to assist enterprise and retail clients to fill contract, full time, and contract-to-hire positions. The best firms will offer you a range of services to place every type of position you require. They can be employed for a single placement or a batch of hires and depending on the agreement, can provide a guarantee of service and quality. When gauging the quality and success of any company, you need to look back on their history and their growth. A sign of a reputable firm is the rate at which they are developing. Are they expanding their teams, offices, and geographical reach? Are they acquiring other companies? What is the company culture and values? What is stimulating them to be able to grow? All of these factors are indicators of the quality of services you will get when going into business with a merited tech recruiting firm. Transparency is key between your company, the recruiting agency, and the candidates. A fluid back and forth provides a healthy flow of communication so that everyone is on the same page about the role requirements and technology needs. A good recruiter asks the hiring manager and the candidate plenty of questions so they know what best suits both parties. On the other hand, the client company needs to give and receive feedback to let the recruiting firm get a better understanding of their needs. A good agency dedicates time to understand your business’s needs and position requirements beyond what is stated on the job description. They ask questions about the company culture, day-to-day responsibilities, team collaboration, projects, and hot buttons that best fits the perfect candidate for you. With that information in mind, they conduct thorough in-person pre-screen interviews to gauge the candidate’s experience and knowledge of the technology needed. Establishing the needs of the candidate ensures no time wasted interviewing someone is under-qualified or not likely to accept an offer. A top tech recruiting agency acts as a trustworthy and dependable business partner delivering you the results you need without exhausting your own time and resources. Partnering with a recruiting firm ensures the same speed and quality you should expect from a contingency-based partnership but takes the level of consultancy one step further. Next time you are searching for a technical recruiting agency to help you fill roles, make sure they check off every box of these top qualities. No one wants to play from behind. Whether in sports, projects for work, and especially in their job search. Think about it like this: in IT, it’s encouraged to approach systems proactively. Therefore, wouldn’t it make sense to approach your career the same way? 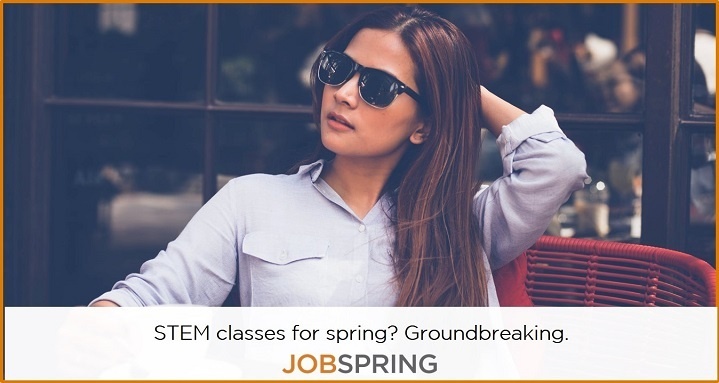 Too often, Jobspring Partners has seen extremely competent candidates unexpectedly laid off, from no fault of their own, who come through our doors desperate for a role that fits their skillset. At that point, the candidate is playing from behind, when they could have been proactive and taken the power in their own hands before becoming unemployed. Be Proactive- Start Your Job Search Today! Had this candidate simply considered working their network and remaining connected with their closest peers to stay updated on openings in the market, they could have positioned themselves a bit better in case of the emergency that ultimately did happen. 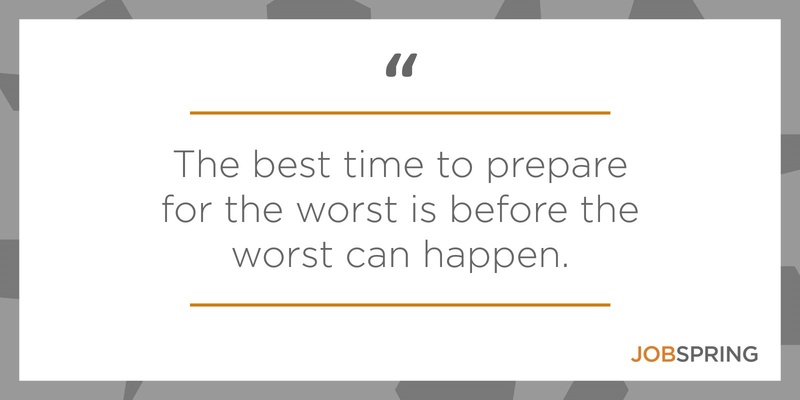 Like most things in life, the best time to prepare for the worst is before the worst can happen. Think critically: how long could you truly support yourself and your dependents without a reliable income? Is that two months, six months, one year? Regardless of the length, this is the maximum amount of time you will have to find a suitable replacement position once you’ve left your current role. However, if you begin looking while you’re already gainfully employed, your timeframe for finding a new role increases exponentially. Without being taunted by upcoming bills without an income, you can focus your search on a position that excites you or will drastically improve your career trajectory rather than just attempting to make ends meet. Time and time again we’ve been told by hiring managers that the best candidates are the ones who are actively working. After all, employed candidates are continually proving themselves as assets to their current company. A notable quote from “The Shawshank Redemption” says, ‘Get busy living or get busy dying’ and the job market is the same way. If you’re not showing yourself in the day-to-day as employable and beneficial to a company, you will be making it harder on yourself to find a new job as time goes on! 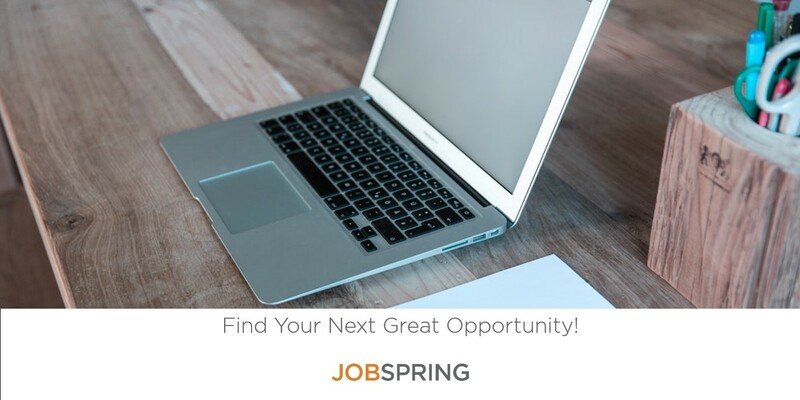 Visit your local Jobspring Partners today to start finding your dream job! Have you ever wanted or needed something so badly that when you were put into a situation wherein you could get whatever it was that you wanted or needed, the pressure was simply so much that you botched your attempt to get it? Unfortunately, this happens quite often during interviews when one is facing unemployment. Contrast this with interviewing while you already have a comfortable employment situation: you will be taking a significant amount of pressure off yourself and will ultimately lessen the likelihood of self-sabotage while interviewing for the new role! Finally, if you’re interviewing while currently employed, you’ll have more control over dictating your final offer! The same factors apply here as they did above, but the final offer now needs to be better than your current for you to leave your job. This doesn’t have to come down solely to money, but everything in terms of compensation should line up – focus on the total package that the company offers. 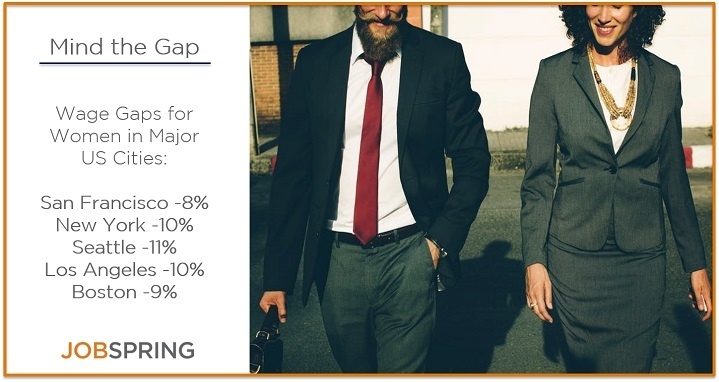 Not only will you have the upper-hand to hit that higher salary number, but you can also potentially leverage your current job to get additional vacation time, flexible hours, stock options, equity, or a myriad of other perks that can be included when the offer is extended! So, if you find yourself in a position that isn’t perfect or you feel the winds of change approaching, make sure to keep your eyes and ears open to all new and exciting opportunities. With the benefit of time, it may even be correct to call your localized and specialized recruiter, and make an appointment with them. They may open doors for you that you never thought possible! In today’s technology driven world, change happens fast. We’ve come to expect it. If you’re someone who thrives on exploring solutions to new challenges, why should your career path be any different? Over the past five years contracting has seen a steady rise in popularity among tech companies because of the opportunities it offers both job seekers and employers. Do you want to spend more time with family during the holidays and summer vacation? Click to find a seasonal contracting opportunity in a city near you! One of the biggest misconceptions about tech contract jobs is they pay less on average than fulltime positions. While it’s true that fulltime employees make a yearly salary and contractors get paid by the hour, there are many other factors to take into consideration when calculating your potential earnings. For instance, if you work more than 40 hours in a week as a fulltime employee, you won’t be paid for your extra effort while contractors get paid 1.5x their hourly wage for overtime. This can have a huge impact, especially in the tech industry where employees often work extended hours. Surprise! The biggest misconception about tech contracting is that you won’t receive benefits from your employer. The reality is, as a contractor with Jobspring Partners, you are eligible to receive benefits that kick in after thirty days of employment. You accrue sick days beginning on day one of employment. Want to start investing for your retirement? You are eligible for the Jobpspring Partners 401K and will be automatically enrolled after the first 6 months of the contract assignment. Full health coverage including dental and vision insurance kicks in after 30 days of your start date. In addition, there is an option to use a Health savings account to put away money for your health plan every month that is pre-taxed. Beyond these basic benefits, you can also enjoy commuter benefits you can use for parking, public transit, metro, or bus. Make the money you deserve and explore contracting opportunities in a city near you. Contracting gives engineers the opportunity to focus on newer technologies, increasing their value as a subject matter experts in niche tech fields and opening themselves up to more lucrative opportunities in the future. It’s a great opportunity to get your foot in the door with tech giants who are only looking to hire contractors. 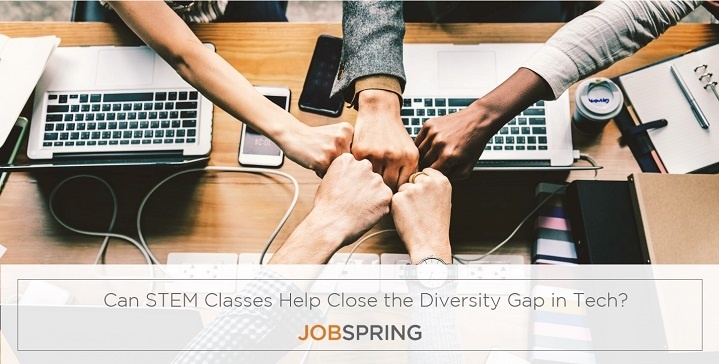 Employers love seeing candidates with diverse backgrounds working on unique projects. We like to call them “unicorns” in our industry. The contracting model gives qualified candidates the freedom to develop their skillsets while being exposed to many different projects, technologies and work environments. But it also offers unforeseen benefits to employers looking for qualified talent. It gives them the opportunity to have “try-outs” for contractors hoping to find a permanent position and allows them to bring in highly specialized engineers on a project-basis they wouldn’t ordinarily be able to afford fulltime. For all these reasons, contracting has never been a more viable option in the tech industry than it is today. There are many misconceptions about contracting in the tech industry. That’s why it’s important to do your own research, weighing the pros and cons of contracting versus fulltime. The results could surprise you! Check out which companies are hiring by applying to one of our many tech jobs online! 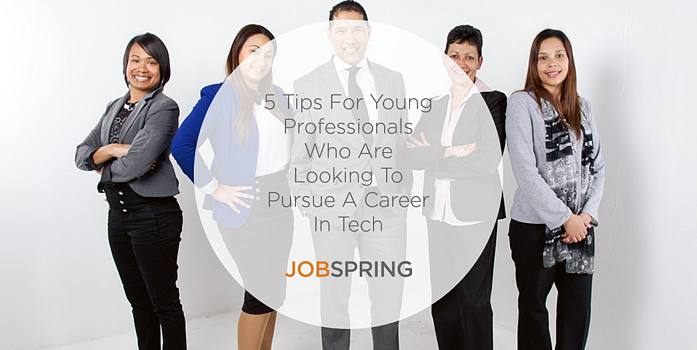 Read why "Don't be afraid to try different things" is tip #3 in "5 Tips For Young Professionals Who Want a Career in Tech"
Let us help you discover your dream job - Contact a Jobspring Partners in a city near you! There are several myths out there about the tech job market, but the key is to identify these myths and not fall into the trap that many other job seekers may unknowingly fall into. To sum up, (1) if you’re less qualified, be prepared to make your business case upfront as to why a company should still consider you; (2) if you’re a job hopper, be sure to specify acceptable reasons for leaving on your resume to avoid negative stigmas; (3) never rely on job boards alone, instead, leverage your network and work with a specialized tech recruiter in your city; and (4) don’t be that candidate who exhibits indulgence or entitlement in regards to a potential offer – it could backfire on you. Contact a local Jobspring Partners today and let us help you kick off 2017 on the right foot. Don’t be afraid to pursue what you want to accomplish in your career. The worst thing someone can say to you is “no.” There are so many opportunities out there; all one has to do is try. Want to jump start your tech career? Apply to your next role now. Finding a mentor is key. It can be intimidating to walk up to someone who could be a role model, especially since a lot of people are afraid to ask someone for help in gneral. On the contrary, many experienced professionals are willing to mentor young people, and find it flattering when someone asks them. Mentors can be a great guide and give you a third party perspective on your career and life goals. No one can answer those questions except yourself. Many aren't 100% sure they going in the right direction, but there are many opportunities to explore. You can’t be afraid to try new things to figure out those key questions, as well as to find the right job that fits you. When starting out, you don’t need to be an expert in what you want to end up doing, whether in your first, second or even third job. Make sure you take the time to slow down and try to get the most out of every position you hold so you can bring those skills into your career. When looking for a job make sure you have a good idea of what you want out of the job, because you don’t want to be at a job you don’t like. When you know what you want, it's easier to go all in for it and target the skills you have towards the job. As daunting and fast-paced as the tech industry can seem, whether you're technical or not it's a matter of wanting to be in this world. Don’t be discouraged, get out there! 4 reasons you might want to try contracting instead of a full-time job. Prepare for your next interview with this 5-minute guide. Don't quit your job - even if you win the lottery. Company Culture. Seeing how your significant other interacts with family and friends can provide a window into whether it will be a lasting relationship. Similarly, knowing how a company treats their employees will give insight into what your office life will be like on a day-today basis. Furthermore, how people communicate and work together is crucial, since that’s the atmosphere you’ll ultimately need to communicate in and work with. Take a look at the environment and how the office is laid out; it can be a big factor in finding a place that not only fits your personality but your needs and desires as well. Do you need a collaborative, open workspace or a quiet, secluded area to concentrate? Another aspect to look for? Humility: a company with little ego is less likely to put their egos before the employees. The right job will allow you to voice your own opinions when needed. We treasure workplace culture. Check out these IT jobs where culture is key. Personal Goals. Even before you start your job search, sit down to think about your personal goals, values and what makes you happy. Once you access that, start looking for jobs and going on interviews, and ask yourself, “Does this company align with my values and goals?” It’s easy to get caught up in the red carpet treatment. When companies want to “woo” you, they’ll offer you all the good things: free lunches, dinners, drinks, etc. However, that celebrity treatment will eventually fade away, so don’t get caught up in all the flashy things. The right job will be lined up with your values and goals, which will make you happier in the long-run. Mission and Outlook. When you find the perfect person you often envision your life with them five or maybe ten years down the road. It’s the same with a job. You have to envision what the next few years will look like with this company. How are their stocks looking? (Or maybe they’re a startup and not publicly traded.) How much funding do they receive? All these questions can help you anticipate how the company will look in five or ten years. You want to make sure the company you’re working for is in a market where they can expand their product and grow. The right job will have a good outlook for you in the next few years, without worrying about the company heading in a different, more volatile direction. Work Life Balance. Balance is everything in life. There’s work life and then there is life outside of work. The right company will give you the best of both worlds: the ability to live the life you want and be able to do the work you love. Sometimes those two can be one and the same. Many companies, especially tech companies or startups, require a lot of around-the-clock work, and that might be your cup of tea. Either way, the right job will align with how you want to live your life. Is work-life balance important to you? Here are some tech jobs where it’s a priority. Growth. Finding the one – the job or love of your life – can have the same goal at the end of the day: both make you want to be a better person. The right job will enable you to grow professionally and personally. You should be able to climb the corporate latter, not feel stuck in a bad relationship with your company. Growing and learning is important, so you should be able to find ways throughout your job experience to continuously evolve. Innovation. Innovative companies will have new ideas they want to implement, or aggressive updates on current product offerings for continuous improvement. You should feel excited about the project you’re going to work on, the new technologies you’ll be faced with, and all of the things you’re going to learn. You probably don’t want to be part of a stagnant company with an existing product that they do nothing but maintain; these aren’t going to be the type of companies that can adapt to the constantly changing environment. Here's why you need to start looking for a new job while you still have one. 4 reasons to try out contracting before your next full-time job.